With the the departure of Chris Urbanowicz forever looming over the band, their future as a group was put in to jeopardy leaving me wondering if we would ever have a fourth Editors album. After much silence and speculation the rumours were halted as a new album was announced along with the addition of two new band members. Exciting times indeed. Enlisting the help of renowned record producer Jacquire King Editors began work on the follow up to 2009's 'In This Light And On This Evening'. Now to say it was going to be a quick process would be a lie. 4 years in the making including a lot of hiccups on the way has meant it's been a long time coming for fans, but a wait I'm sure they'll be satisfied with when concerning the end product of what has been a difficult few years. It's clear to see form the opening few chords of 'The Weight' this a band that have been away refining their sound, toning back on some of the experimental ways we became accustomed to on their previous record. As moody overtones give way to momentarily tease you with hope and aspiration it's easy to become lost in its melodic flushes as Tom Smith rains down "Every day I pray I'm the first to go. Without you I would be lost". A sombre affair to say the least. 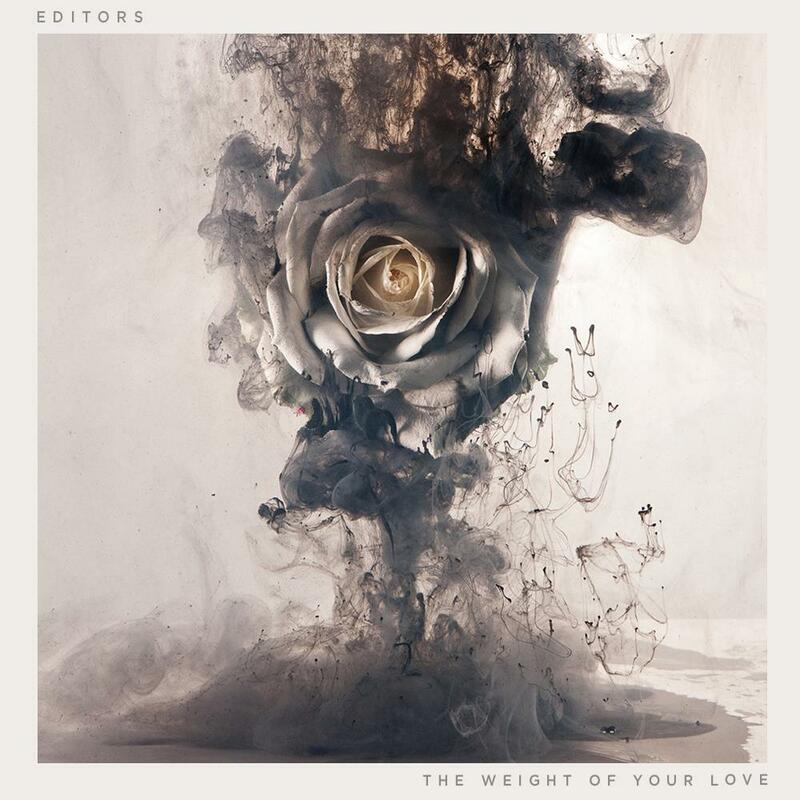 With a new enlightenment coursing through the veins of their music 'The Weight Of Your Love' feels like a hybrid of all 3 previous records. With tracks like 'Sugar' and 'A Ton Of Love' drawing influence from 'The Back Room' and 'An End Has A Start' you get a true sense of all round with slinky basslines and mournful lyrics. As the album moves in to a more tearful wave with 'What Is this Thing Called Love' we get to hear a much more sentimental side to Smith than we're used to as he leaves behind his brooding voice in favour of a falsetto croon. Yes, their music as a whole drips with idealistic loss, but here we're presented with an anthemic distinguishing quality. Something their previous album lacked in my eyes. The same can be said for 'Nothing' as the full strings section adds warmth and clarity to the raw and obliterating lyrics you're caught up in, tormenting before gently releasing you from their grasp as the strings fade out. And with tracks like 'Formaldehyde' and 'Hyena' that hit hard with a danceable energy, much akin to early Killers records, you get that much awaited energetic vibe to the album. Not a million miles away from their previous songs, but when treated as standalone singles, a very strong effort. Towards the end, the record resorts to toning back its monstrous ways once more to provide a pathway allowing the intricate melodies on 'Two Hearted Spider' to shine through. With maturity and integrity Smith wails "Every smile you fake, Breaks me, breaks me".It's clear he's wearing his heart on his sleeve. My favourite on the record 'Phone Book' takes you on an enticingly dark journey led by the subtlety of its piercingly beautiful synths. As the acoustic guitar strums away beneath you're drawn deeper and darker in to its depths. Many try to capture this kind of simplistic beauty and fail. Editors seem to have hit the nail on the head with their minimalistic approach here creating a long lasting empathy within their music. As the album rounds up on 'Bird Of Prey', another slow burning track, this time with harder percussion, a definitive direction becomes clear. Less synths. More guitars. As a band, Editors have defined their sound working hard on this new direction and it's clear to see. Through their hard work and determination there finally seems to be light at the end of the tunnel. Whilst I wasn't entirely won over on my first listen, once it had sunk in I was finally able to appreciate it for what it really is; a lovable, heart wrenching record filled with a darkness that we've grown to love. 'The Weight Of Your Love' is definitely a giant stride in the right direction for a band that came so close to the brink of extinction. It's great to have them back.